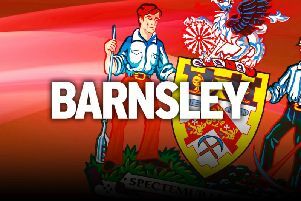 Tom Bradshaw has played his last game for Barnsley as he closes in on a move to Millwall. Assistant boss Andreas Winkler has confirmed the striker is having a medical at the Championship club today. Unless there are any last-minute hitches, Bradshaw will join the Lions on loan, with the move becoming permanent in January. Winkler said: “Right now he is on the way to a medical. He won’t play for us again. “We are very disappointed, every one of the staff, every one of the players. The 26-year-old, who joined the Reds in 2016, is keen to move down south due to personal reasons and expressed his wish to leave Oakwell. “We are all on the same page, the board informed us of the situation on Tuesday, it’s not easy, it’s a little complicated, it’s a private situation,” Winkler added. “It was Tom’s wish he wanted to move to get closer to the south with his girlfriend to raise a family.